Homepage » News » Majid Haq: The slowest bowler who plays the game? Malcolm Marshall, Shoaib Akhtar, Brett Lee and Shaun Tait – people may have forgotten the number of scalps these bowlers have earned to their name, but one thing any cricket fan would retain fresh in his/her memory is the pace at which these bowlers used to bowl. They are said to have won most of the battles simply with their weapon called ‘speed’. Even the present generation of bowlers that includes Mitchell Starc, Adam Milne, Kemar Roach are terrifying with their pace. In a world dominated by speed, would you believe if we tell you that there’s a bowler who nonchalantly spins the ball at the batsmen at a ridiculous 40-odd miles per hour? And no, we aren’t talking about the subject’s slow motion action replays. 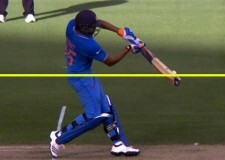 40mph or less is the speed at which he bowls in most cases, be it any format of cricket. Majid Haq, bowling with the wind behind him, has just been timed at 41.6mph. Majid Haq, a 32-year-old Scotland off-spinner who is currently playing for the side in the ongoing World Cup, is the man with this dubious distinction. He is one of the senior members in the European side which is playing its third World Cup after failing to qualify for the 2011 edition. Majid Haq in fact is the leading wicket-taker as well as the most capped player in the Scotland team. The right-arm spinner has played 54 ODIs for the side so far. After having played the mandatory Under 17 and Under 19 junior level, he graduated to make his debut in the senior level of Scotland cricket in 2002 in a European Championship match against an England Board XI. Haq, who is of Pakistani descent, is known to have been a pinch-hitter besides being a crafty spinner. Once he established himself in the domestic scene, he was picked in the World Cup squad that was sent to West Indies in 2007. 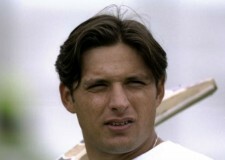 While he made three half-centuries as opener prior to the 2007 World Cup, he struggled in the role during the tournament. This probably was a twist in his fate that led him to put on the bowler’s cap permanently. Since then, he has become the Scottish team’s premier spinner while also being a handy lower-order bat. Sportsmen are generally known for their maverick fitness, but Haq is said to have ignored this prerequiste as he has frequently battled weight issues and fitness concerns in his career, which have put him out of contention time and again. All that aside, in this World Cup, Haq has been the recipient of one particular dig widely hurled at him – that of being “the slowest bowler in the world”. Thanks to the social media platforms, this mockery, which is being evenly passed by fans and critics alike, has gone viral. The micro-blogging site Twitter in particular is being flooded with funny tweets on his bowling. A slow motion of Majid Haq might stop the game altogether. If you think it is highly unfair to compare his bowling speed with that of the fast bowlers’, he’s still far slower than his peers like Ravichandran Ashwin and Imran Tahir who generally clock a minimum of 50 mph. On that note, India’s leading wicket-taker in both Tests and ODIs, leg-spinner Anil Kumble, usually touched 70 mph during his heydays. With 60 ODI wickets to his name, Haq became the country’s leading wicket-taker during the World Cup fixture between Scotland and England. Sadly for him, Scotland lost the match by a wide margin. And his team is currently languishing at the bottom of the table in Pool A, having been defeated in all its four outings in the tournament down under.
.@ajarrodkimber Watching Majid Haq bowl is like watching cricket on a slowly-buffering internet feed. @ZaltzCricket @ajarrodkimber it’s like the water world in Interstellar. One Haq ball is the equivalent of seven normal deliveries. Although statistics don’t give us enough evidence as to whether he’s the slowest bowler ever to play the game, it will be tough to think of anyone being slower than him currently. That said, Haq is rather unperturbed by all this talk; he believes, and rightly so, that as long as the wickets keep coming, such remarks can safely be brushed under the carpet.